In China, the rapid urbanization process in recent decades has led to a worsening “city syndrome” situation that exist in many urban areas such as urban flooding, water pollution, heat-island effects and ecologic deterioration etc. 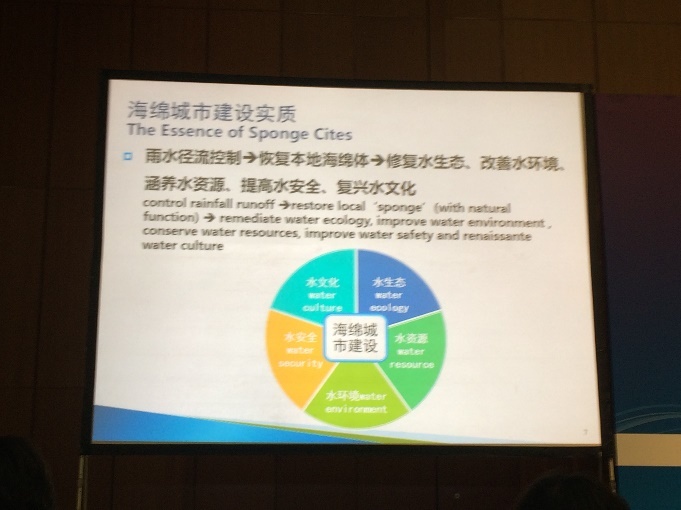 In order to promote a sustainable urbanization strategy, the China government announced in late 2013 a “Sponge City” approach, i.e., utilizing the natural storage, infiltration and purification processes in urban build environment. 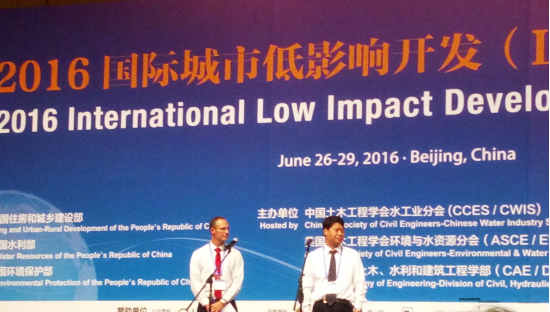 The 2016 Low Impact Development (LID) International Conference has been successfully held in Beijing, China during 26-29 June 2016 ( http://www.lid2016-china.org/en/index.asp?hid=), which provides an excellent opportunity for LID/GI professionals to exchange experiences, share results and implementation strategies. 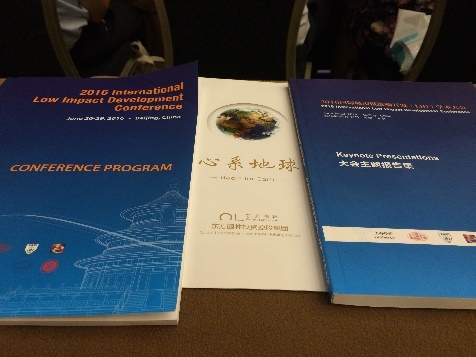 More than 800 LID scholars, experts and government officials and practitioners attended the conference. 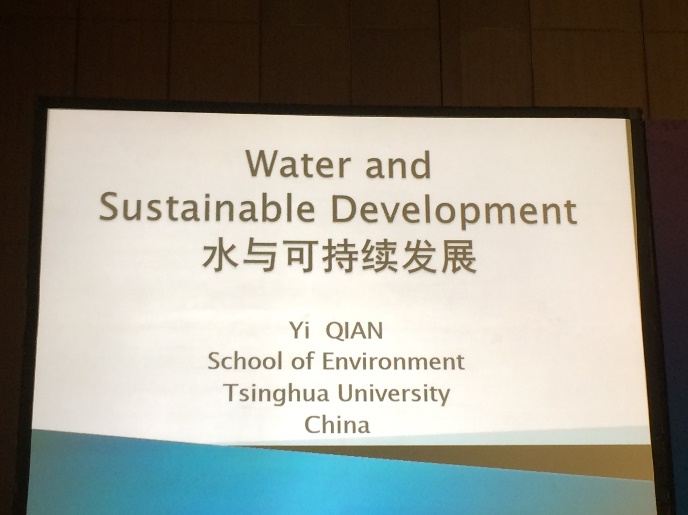 Key note speeches were given by Professor and Academician Yi Qian (Tsinghua University) on Water and Sustainable Development; The Sponge City Construction Policy in China by Mr. Weilin Zhang, Deputy Director of the Urban Construction Division, Ministry of Housing and Urban Rural Development of China; Speech given by Professor and Academician Chang Ming Liu Towards Ecological Civilization Construction and Concept for Sponge City Construction in China by Professor and Academician Nanqi Ren, Harbin Institute of Technology, as well as several international experts. 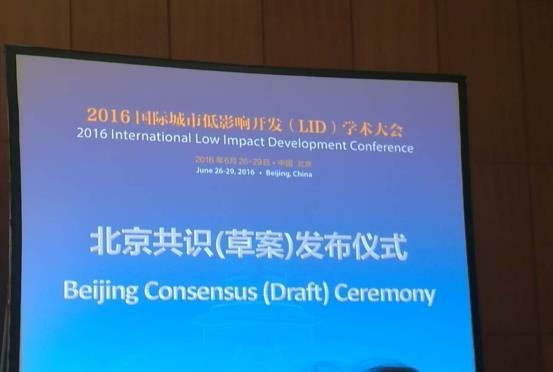 The conference proposed that draft of the 2016 China conference LID for urban stormwater management, the Beijing Consensus in Chinese and English: http://www.cnlid.net/nw-show-id-677.html or Download 2016 LID Beijing Consensus (draft). 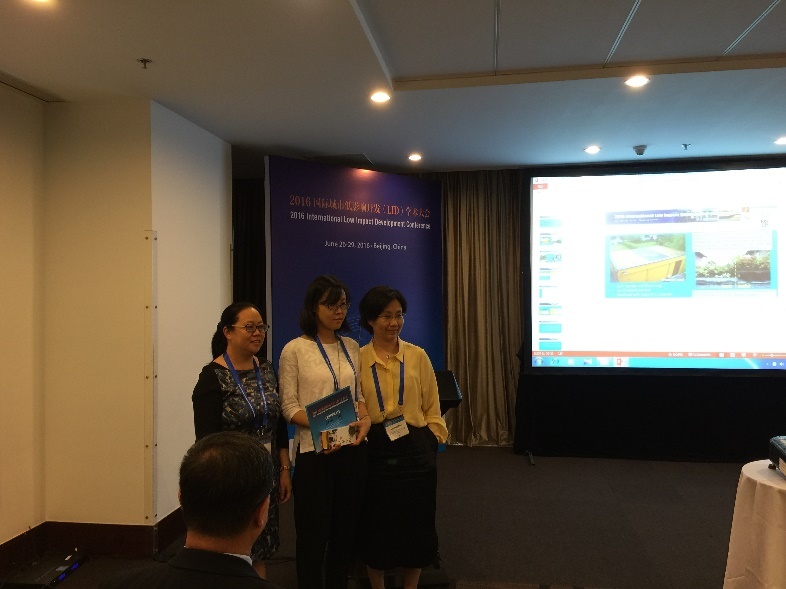 CSDI co-organised a sessions of Implementation of SUDS or LIDs in cold climate, presented a paper of modelling green roof effects in summer and winter conditions. 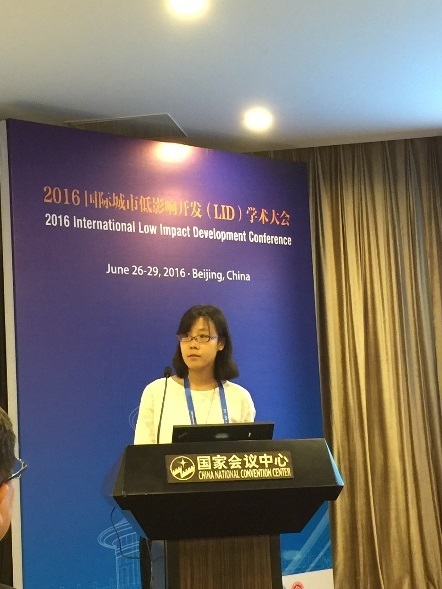 Innovation Norway is one of the sponsors to the conference (http://www.lid2016-china.org/cn/). 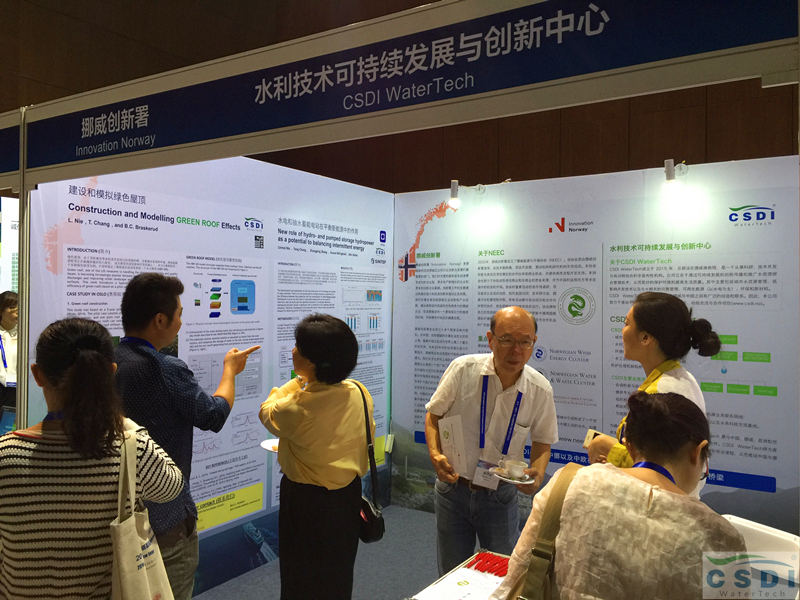 In collaboration Innovation Norway with CSDI WaterTech a successful exhibition was organised during the conference. 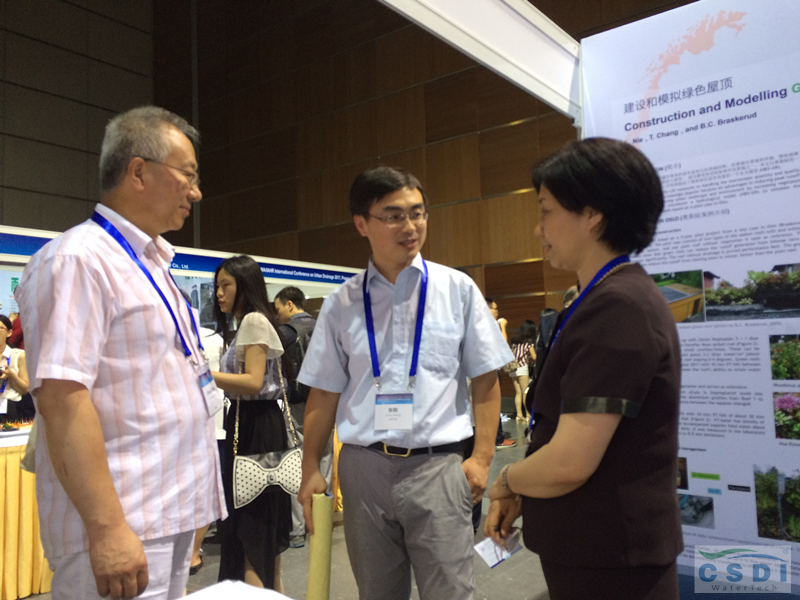 This booth attracts many professionals regarding the technologies of integrated stormwater management in cold climate and technologies related to the Sponge Cities. Learn more about China’s Sponge city.